I am as ever impressed by Big Finish’s ability to draw you into a new line. So with the first 2 audio’s from the H G Wells adaptations they smartly with two of his better known works; The Invisible Man and The First Men in the Moon; both starring already well loved actors in Sir John Hurt and Nigel Planner. With this third story they have gone for a title that is probably better known than the book. With casting, they have by no means scrimped on the talent with Nicola Walker and Sam Troughton; just maybe not with one name that is universally as well known; just two amazing actors, which I would be surprised if they don’t find their place in the pantheons of the great in time. This is where it they are really smart. They have lured us in with the first two huge titles and now they have earned our trust they can do a few lesser known works and really prove how good they are by making us love them too. It also seems very canny to use actors fans of Big Finish know. 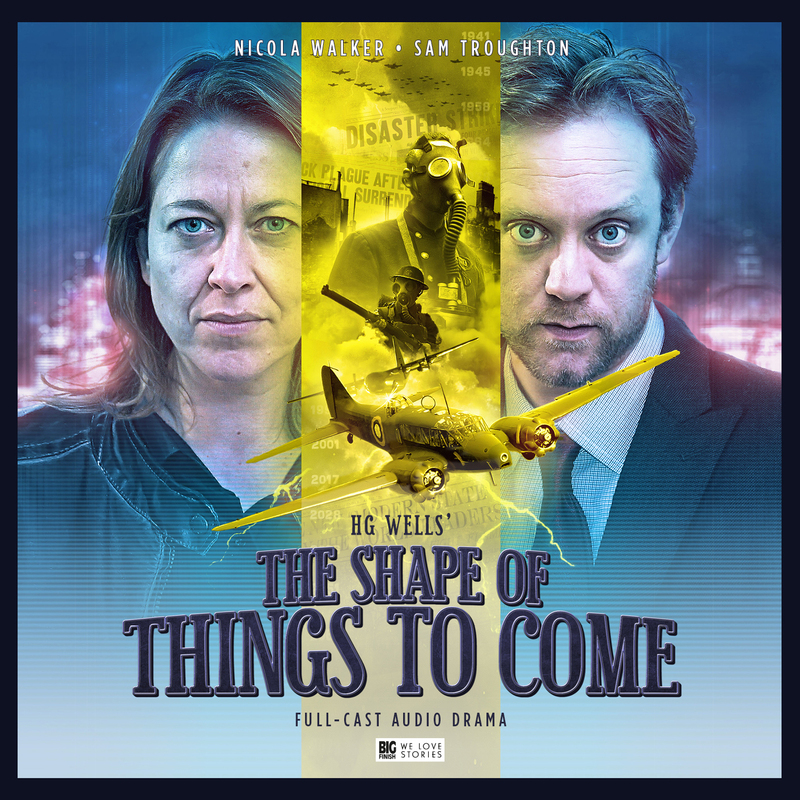 Nicola Walker being so good as 8th Doctor Companion Liv Chenka and Sam Troughton of course having a Doctor Who legacy as well as a great performer in his own right. I cannot profess to know the book myself, but this is such an electric telling of a story, that I can only assume writer Guy Adams has paid great attention to what worked in the story, what needed to be left ‘of its time’ and what needed to be adapted. He talks a bit about the adaption process in the bonus interviews and gives us a good insight into how involving parallel worlds meant he could keep the timeline from the book that verges from the world we know now. I think this is a very brave choice opposed to saying this is an alternate version of time or to change the timeline to make it contemporary. The parallel universe fits so well and feels like a very exciting element. I think the best compliment you can give an adaptation of a book you didn’t know before is that I didn’t feel the need to already know the story; but having heard this telling you want to go back and experience the original book to see how it measures up. This audio does that. The story itself is a cracking one. When shown a parallel world that has dubious moral reasons for existing but is a utopia in the end; would you choose it over your own world and what ends would you go to if you decided to help make the alternative reality the dominant one? I really felt on the edge of my seat wanting to know where the story was going through its many exquisite twists and turns. I have loved all the audio books in this range so far and this is no exception. I give this a reality bending 10/10. ← HorrorConUK returns for 2017!